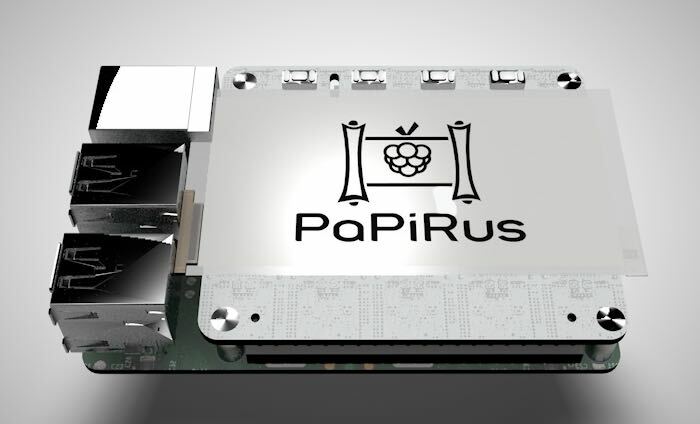 Raspberry Pi users that are looking for a different low power way to display data using the Raspberry Pi single board mini PC, may be interested in a new HAT called the PaPiRus that offers an easy way to add an ePaper screen to you project. The ePaper Raspberry Pi HAT offers both ease of implementation and only requires very little power to function. Watch the video below to learn more and see it in action. The PaPiRus project is currently over on the Kickstarter crowd funding website looking to raise enough pledges to make the jump from concept to production. “PaPiRus is a versatile ePaper display HAT for the Raspberry Pi with screens ranging from 1.44″ to 2.7″ in size. We are very excited to offer this very interesting HAT compatible display breakout for hackers who want to start playing with small ePaper / eInk displays in their Raspberry Pi projects. So if you think the PaPiRus ePaper HAT is something your projects could benefit from, visit the Kickstarter website now to make a pledge from £30 and help the PaPiRus become a reality. For more details on Raspberry Pi displays and HATS jump over to our essential guide.